My thanks to Antony Billington of LICC for flagging up about this book on his Billington’s blog. 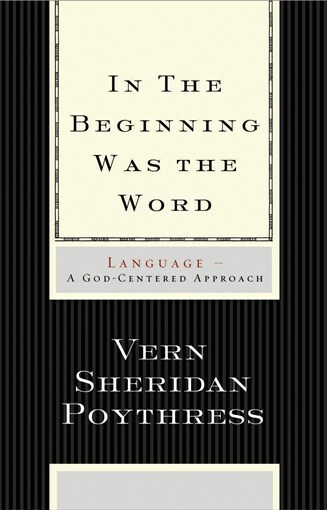 Vern Poythress has made his recent book, In the Beginning Was the Word: Language—A God-Centered Approach (Wheaton: Crossway Books, 2009) available online on his website. It has some interesting stuff on the nature of language within the context of Bible and mission, so is well worth a look. Thus, even though the fall has had its effects, the universality of the reach of the gospel confirms that we will still find “language universals,” universal capability throughout all languages that make the gospel expressible in each language. The Bible can be translated into each—and has been translated into many languages, more than any other book. Because the Bible is breathed out by God (2 Tim. 3:16) to address all nations (Luke 24:47), it is true and pertinent to every culture. God so designed it. We know it is universal in its reach, not by intellectual insight that has given us a godlike superiority, but simply because God has told us so, and we trust him. But that universal reach is not worked out in practice without missionaries and translators having to confront surprising knots, complexities, resistances, and rich perspectival diversities. The Bible is not acultural. It does not owe its universality to rising above cultures into thin, disembodied universal philosophical platitudes (which would actually falsify its very specific message). In the Bible God addresses immediate issues in the first century and in the Hebraic cultures of Old Testament times. Through the apostle Paul God warns the Corinthian church about divisions; he warns the Galatian churches to rely on Christ and not on circumcision. God also speaks universally, by indicating to all nations how he accomplished worldwide salvation precisely in the once-for-all, culturally and historically specific events concerning the descendants of Abraham leading up to Christ. As part of its universal scope, the Bible also contains many general, universal statements: “All have sinned and fall short of the glory of God” (Rom. 3:23). “The Lord is one” (Deut. 6:4). “Righteous are you, O Lord, and right are your rules” (Ps. 119:137). God expects us to believe his universal claims, and not to evaporate them by artificially restricting them to one culture.